Cyanogen Team has announced that it's official Cyanogen OS 12.1 update is in it's final stage of testing but if you're tired of waiting for it's release then you can try CyanogenMod 12.1 from the CM community. A stable release of the of CM 12.1 for YU Yuphoria lettuce is now available. This blog post will list steps to install CM 12.1 on your YU Yuphoria. In case you aren't aware CyanogenMod is different from Cyanogen OS while the former is developed by community members Cyanogen OS is the official ROM from Cyanogen Team. [Disclaimer]: Manual installation of ROMs if not performed carefully may result in bricked device. If you're not comfortable with custom ROMs or manual installation we recommend you to get help. YSP Blog cannot be held responsible for bricked device or unexpected results after the installation. Make sure the device is rooted before going ahead with custom ROM installation. The new CyanogenMod CM12.1 [official] Android 5.1 Lollipop custom ROM - has to be installed on the YU Yuphoria aka lettuce model only. Users are advised to pay close attention to the CM release version and check whether the version of their third party installs (kernels, mods, gapps, etc) are compatible with the custom ROM. Make sure to install USB driver in the PC, or else the smartphone (Yuphoria) will not be recognised by the computer. Make sure your device has more than 80% battery, or else there is a chance of the smartphone getting temporarily bricked if the installation process is interrupted midway. 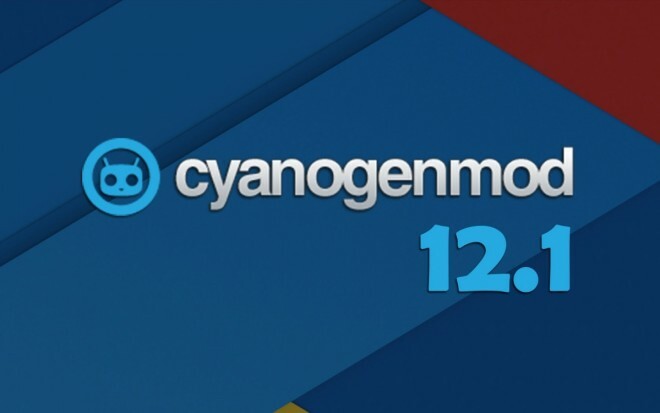 Step 1: Download CyanogenMod CM12.1 [Snapshot] Stable custom ROM and connect Yuphoria to PC via USB. Step 2: Place CyanogenMod CM12.1 ROM zip file into the phone's memory (root-folder only). Step 3: Turn off the device and disconnect from the PC. Step 4: Enter the Recovery Mode by press holding – 'Volume Up + Volume Down + Power'- buttons. Step 5: After entering the RECOVERY mode, clear the phone memory, by selecting 'wipe data/factory reset'. Step 6: Clear the cache memory by choosing 'wipe cache partition'. Step 8: Come back to main recovery screen and then tap 'install zip from SD card'. Step 9: Tap 'choose zip from sdcard' and go to software ROM .zip file in SD card and enter the installation process. Step 10: Once done with the installation process, re-start the device by opting 'reboot system now' seen in the recovery menu. Yuphoria will take a few minutes before rebooting after that if you will have the much awaited CyanogenMod 12.1 on your Yuphoria.